Irmiter, a long time model and current Northside junior, was given the opportunity to appear in the advertisement through an Instagram direct message from the director who spoke of the opportunity, but never solidified the offer. Having gotten offers like this without follow through before, Irmiter was understandably skeptical in their reply, telling the director to contact their agent. When asked about their initial nonchalant attitude, Irmiter further explained their surprised attitude when their agent contacted them about the opportunity. After that, it was a fairly simple process to appear in the advertisement--excluding the actual filming, which was a four-day affair at a site in Mexico. While Irmiter’s screentime, about 3 seconds, may have been a blur to those who saw the commercial when it aired, Irmiter makes it clear that a lot of work went into the advertisement. Upon seeing the commercial during the Super Bowl, Irmiter described their amazed reaction. “It was really weird to see,” they noted. “I heard the proper pronoun, and felt great about representing the community.” This is important to Irmiter who wants to be an activist representing the non-binary community, with this advertisement only grazing the top of their talent and potential. Throughout their career, Irmiter has felt welcomed, rather than persecuted, for their identity. While conceding that modeling “is a very tough thing because of beauty standards and can be a toxic industry with body image,” Irmiter made sure to point out that “people in the industry accept gender, but there are those who don’t.” For Irmiter, everyone has been unexpectedly friendly and they are glad for every opportunity that they have been given and earned. 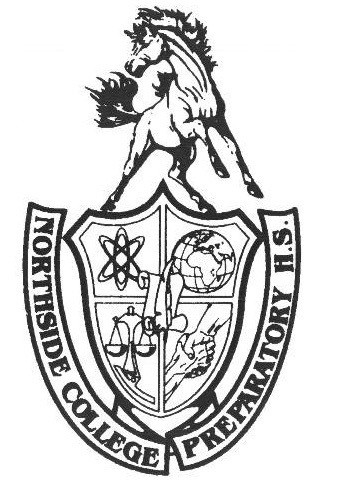 The Super Bowl is meant for football, joy, and creative advertisements, and for the first time, Northside has been represented in all of the chaos. Irmiter is the lucky student appearing in Coca-Cola’s “The Wonder of Us” commercial, which focused on diversity and inclusivity. While this is only a small portion of their resume, Irmiter has made a mark on both the Northside community and people all around the world.